13.5 oz double-wall ABS plastic tumbler with polypropylene liner – BPA free. 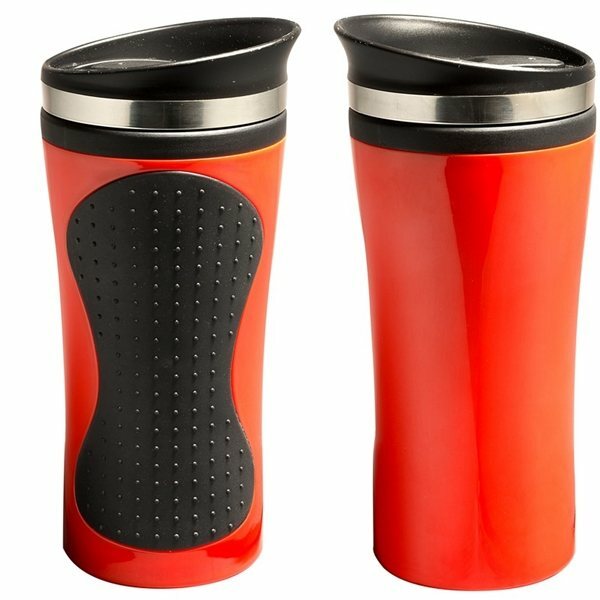 Screw-on, drink-through, spill-resistant lid with slide-lock spout. Slide and scratch resistant EVA foam bottom. These cups are for hot or cold beverages. great product...works great! The product was just what we expected and turnaround time was quick. Very good quality product. Printing was done as instructed and your staff was easy to work with. Great quality for a great price. Very happy with our order. Very pleased with them. They were economical. The entire process of obtaining the artwork sent and approved was quick and easy. Works great, looks great, cost was great. Couldn't ask for anything else. I like the quality of the material.